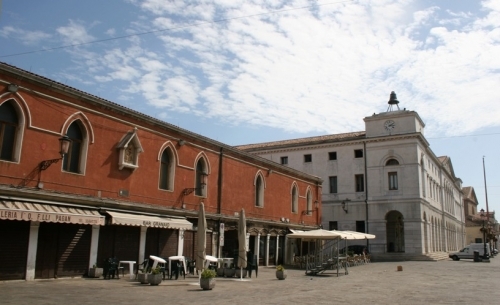 It is one of the most ancient building of the city (1322), anterior of the war of Chioggia, in Gothic style very sober. It was used to store the corn for the community, and was originally based on 64 columns. On the front there is a niche with an image of The Virgin and the Son probably by Jacopo Sansovino (1486-1570).